Science and career mode was a huge addition to Kerbal Space Program. It added more of a goal to the game. Instead of just challenging myself to push the envelope of rocket and space craft design, I can now challenge myself to build space craft that meet certain criteria in order to meet the requirement of gathering science in Kerbal Space Program in order to develop my available technology tree further. Things like probes with a return mission from far away planets or difficult planets such as Eve that I would have otherwise never have bothered with. When science was released, it was fairly simple: Attach science experiments to your space craft, go somewhere you haven’t been before, run the science experiments, transmit the data and repeat until no more science value can be gained. But now in KSP 0.23 players can no longer spam science until there is no return. There is only so much science that can be gained by transmitting the data back to Kerbin and some experiments are a one-time run, meaning that they can only run the experiment once and can either transmit once or keep the data – if they transmit, they cannot be run again. Science experiment data now needs to be returned back to Kerbin for any further gains, whether by a direct return or by a Kerbal gathering the data from the experiment, loading it into a capsule and returning it. That second mechanic is what I’ve been leveraging a lot in my space craft designs. If you watched my stream at all during this past weekend, you’ll have seen that I spent a lot of time working on and around a space station orbiting the Mun. The station uses the new science lab that allows all experiments that are one-time-use to be cleaned so they can be run again. This obviously gives me several advantages. The station design as of the publication of this article. The station itself – Consists of a science lab, three docking ports and because I use the Thunder Aerospace Corporation Life Support Mod, capacity for life support provisions (food, water, oxygen) and the ability to regenerate carbon dioxide and waste water back into usable oxygen and water respectively. The station also has two XL solar panels that provide the primary source of electricity for the station and all attached modules. It also has a large capacity for fuel storage – both RCS and rocket fuel. The Manned Munar Lander Mk3 during the final stages of construction. Manned Munar Lander – Due to weight restrictions in an effort to increase the amount of Delta-V available for polar landings, the manned munar lander has the Mk1 Lander Can, which only allows for a single crew and no experiments. The experiments onboard are essentially the crew himself – gathering surface samples and crew reports. It is solar powered and has provisions for 11 days, should the sole crew member become stuck. Delivered by a probe-controlled launch vehicle with no crew onboard the lander. 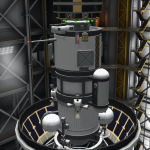 The unmanned munar lander Mk3 fitted atop the Taurus launch platform that will take it to the munar station before the commencement of the third mission rotation. Unmanned Munar Lander – Much like the manned munar lander, the unmanned variant is designed to be as light weight as possible. (The new version will be even lighter than the version I was using this past weekend during the next mission rotation.) This lander has all of the science experiments onboard and is solar powered. It also has two external command seats that give it rescue capability. A command module ready for launch. 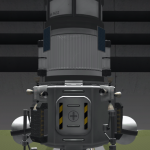 This command module has been designated as a rescue command module that would be used in the event of a failure resulting in a crew being unable to return to Kerbin. 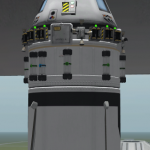 Command Capsule – This is the capsule that delivers the crew to the station from Kerbin. It is the primary source of provisions, mostly food, which cannot be regenerated. It also brings more fuel than is necessary for its trip to and from the Mun. It remains docked and acts as a depository for all science data from experiments, crew EVAs and reports, and surface samples. The primary mode of operation with this type of station is the umanned lander. It is used for pretty much everything. It does the majority of the landings, returning the science data. 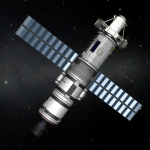 It acts as a station tug for guiding in resupply modules. It acts as a rescue ship if a manned ship is stranded (in orbit or on the surface). It also acts as a scout ship, landing at the proposed landing site for every manned landing to see what the proposed landing site looks like. This prevents the manned lander from landing blindly into a very rocky terrain that could be death for any Kerbal that tries to land. The unmanned lander’s primary job is to land on the surface and collect science data. It transmits what it can and what makes sense to transmit and keeps the remainder of the data which it then returns to the station. A Kerbal then goes out on EVA, collects the data from the various experiment modules on the unmanned lander and stores it in the command module while the science lab cleans the science experiments. The station itself provides quick recharge of batteries and refuels the landers. As stated before, it cleans science experiments and where possible processes the data for greater science gain if transmitted. The manned lander is the simplest of all operations. It lands on the Mun after the unmanned lander has successfully landed at the landing site. 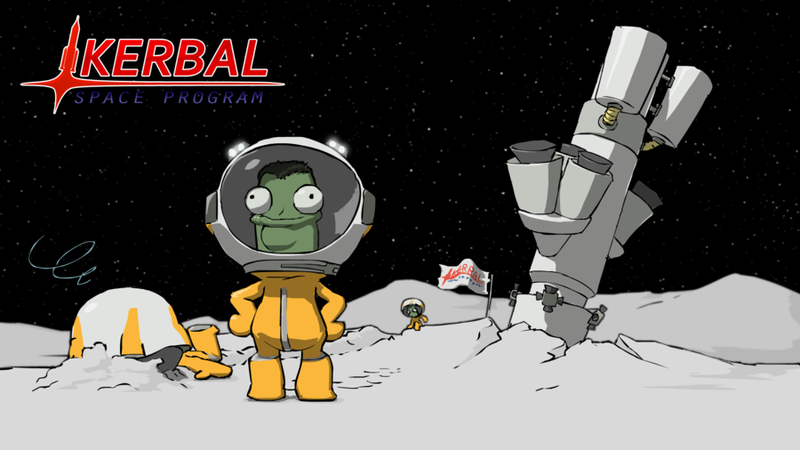 The Kerbal then gathers crew reports, EVA reports, and surface samples. He transmits what he can, regathers the data that he transmitted and repeats until no more value comes from transmission. Once complete, he reinserts himself back into orbit to rendezvous with the station. The unmanned lander stays on the ground until the manned lander has successfully docked with the station. It does this to provide optimal rescue capability in the case that a rescue is needed. The unmanned probe can perform several types of rescue profiles. It can refuel a lander, command module or other module that has run out of fuel. It can rescue a crew member from a damaged manned lander. It can rescue a crew member that has managed to escape the vicinity of the station or other module while on EVA. As dictated by new technology, a lander may be discarded after a mission rotation to be replaced by a more efficient or otherwise higher tech version. This is done with unmanned probes to deliver the new lander between rotations. After new hardware has been delivered, a resupply module (REMO) is sent to the station to top off fuel, monopropellant, oxygen, food, and water. The REMO, when complete, is then decoupled and sent on a course to crash into the Mun. Once the station has been prepped, a crewed command module is sent to the station. In an effort to mitigate every foreseeable risk, the command module has many safety features built into it, including a Launch Escape System (LES) much like the LES used during NASA’s Apollo program. The LES is ditched once a stable orbit has been achieved. The Command Modules all carry with them enough fuel to perform a direct abort at any point during their trans-munar injection. This is in an effort to keep options open for the crew should a problem present itself. Return rescue capability provided by Kerbin is readily available with spare command modules ready to be launched in an unmanned configuration to provide a crew in need of rescue the opportunity to begin a safe return within 8 hours of the decision being made to return the crew. (A kerbal on EVA can survive 14 hours with the provisions in his suit alone.) This provides optimal crew suvivability in the event of disaster – even a disaster that requires the crew to perform an immediate abandonment of ship. I foresee this mission design being used in many future missions. It works well and the ability to redesign landers based on the parameters of the body being explored makes it into a very adaptable design. The station even has its own propulsion, although I will probably design a new station for future missions with more efficient propulsion – nuclear or perhaps ion. I only just started sending probes to other planets late Sunday night. My first probes will only be one-way to collect initial science and to establish omni directional relays and repeaters around planets. (I’m using Remote Tech 2 which requires me to maintain a communications link/relay with unmanned probes otherwise I cannot control them.) However I foresee the need to begin returning samples, so I feel I need to redesign the probes that I send out. My initial thought is to make them return to Kerbin, either direct return or rendezvous with a manned station in orbit (maybe very high orbit, 80,000 KM perhaps). The return is required because eventually transmission of data no longer provides any value. While rendezvous may seem more interesting, it also requires more fuel than a direct return to Kerbin because not only does the probe need the fuel to return to the Kerbin planetary system, but it also needs fuel to maneuver and rendezvous with an orbiting station instead of the simple amount of fuel required to re-enter into Kerbin’s atmosphere. We shall see though and that is what I love about this game. The innovation required by the player is unmatched by any other game. 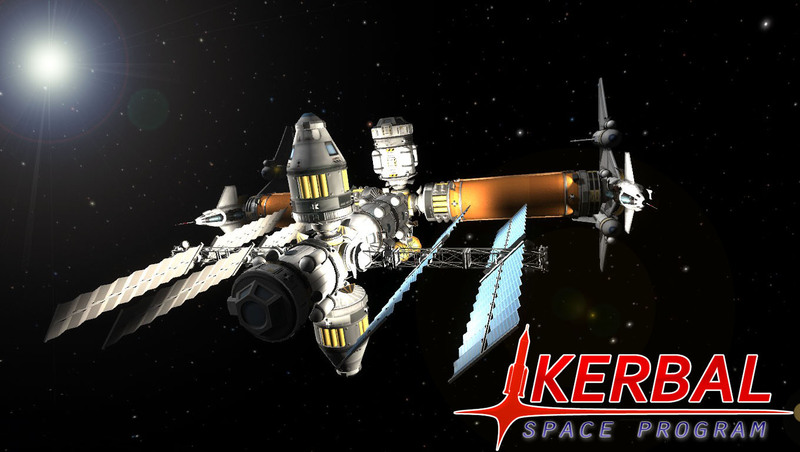 What sort of innovations have you employed in Kerbal Space Program? Let us know in the comments below!